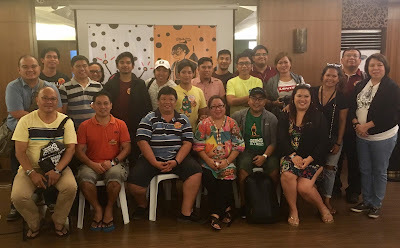 Startup founders, technology business incubator (TBI) managers, and representatives of information and communications technology (ICT) councils from the Visayas joined the 5th Geeks On A Beach (GOAB), an annual international startup conference held in Puerto Princesa, Palawan this year. The participants supported by the Visayas ICT Cluster Organization (VICTOR) of the National ICT Confederation of the Philippines (NICP) came from Bacolod, Iloilo, Cebu, Dumaguete, Antique, Aklan, Capiz and Bohol. 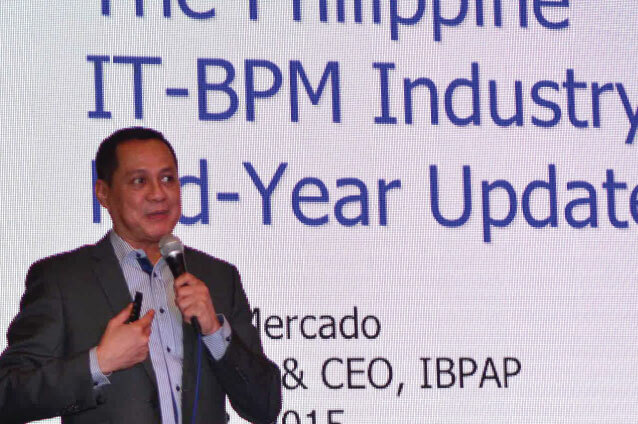 In 2016, ICT councils under VICTOR-NICP pegged a three-year target of achieving at least one TBI in each province in the three regions of Visayas to support local efforts to help build a startup ecosystem, develop entrepreneurship and generate jobs. During the GOAB, Visayas ICT councils welcomed the proposed strengthening of collaboration among various government agencies such as the Department of Science and Technology (DOST), Department of Trade and Industry (DTI) and Department of Information and Communications Technology (DICT) with private incubators and accelerators as well as local stakeholders. A TBI offers space, shared facilities, and services, as well as a whole line of support to incubate the startups such as mentoring, marketing, development of business and financial plan, legal services, export facilitation, investment linkages, seed funding, technical training and other programs. It went down the wire in the Philippine Leg of Your Way 2 Silicon Valley last August 29, 2017. And after the dust of the pitching tournament composed of 16 competitive startups, it was Veer Immersive Technologies that came out on top of the field. Your Way 2 Silicon Valley disrupted the startup pitching tournament by the way of its format. This was explained by Athina Papadopoulou of BeFast.TV, the global video startup new media production house that organized Your Way 2 Silicon Valley pitching tournament. The format was the same as a TV Reality Show. Instead of the regular 5 minute presentation for each startup, this tournament gave new challenges to the competing startup teams. The format was for four rounds and each team was given only 1 minute to make their pitch for every round that tackled four factors that were deemed critical to every startup. Every startup team was pitted against an opposing startup and each round was a knockout round. Judging was done after every pitch of 2 startups. The winner steps to the next round. In the first round, the topic was “Who are you and what makes you different?” Each pitch was met by resounding applause from the audience, themselves composed of representatives from the Philippine startup sector. The first round only had 8 “survivors that were decided by a panel of 5 judges representing government, startup Finishers, and sponsors of the event. The Final round was between Veer Immersive Technologies and Still Fresh Food. Both startups were neck to neck during the judging and the final judging was done outside the room. The winner was announced by BeFast.TV Operations Manager Gemma Kwook and after the envelope was opened it was Veer Immersive Technologies that emerged as the winner. Veer Immersive Technologies are composed of ICT professionals that provide Virtual Reality training for airlines. They are already engaged with several airlines and are poised to further scale up their services and operations. Veer Immersive Technologies will compete with the winners of Your Way 2 Silicon Valley from Singapore, Djakarta and Hongkong. The winners of each leg will then compete in a pitching competition to be held in Singapore on January 2018. The regional finals will include accommodations, airfare, mentoring and coaching before the final pitching tournament. The winner will then be sent to Silicon Valley where they will undergo further training and coaching. Also, they will be introduced to incubators, accelerators and venture capitalists. Techblade congratulates all the participants and winners of Your Way 2 Silicon Valley. On Our Way 2 Silicon Valley! The winner of a pitching tournament for startups that will lead to Silicon Valley will be held tomorrow, August 29, 2017 at the City Club, Alphaland Makati Place in Makati City. BeFast.TV, a Silicon Valley based company will host a pitching tournament for Filipino startups and the winner will meet investors and accelerators that will further enhance their capacity in making a success of their startup. This event is a part of “Your Way 2 Silicon Valley” project, which is initiated by tremendous requests from many VCs and accelerators in Silicon Valley to discover Asian startup markets. The Project is to have a startup reality show with pitching tournament winners from 6 different Asian cities – Manila, Hong Kong, Shenzhen, Singapore, Kuala Lumpur and Jakarta – in Silicon Valley. Silicon Valley based Venture Capitalists (VCs), accelerators and co-working space participants are looking forward to engaging with top startup founders in Asia. The groundbreaking event aims to promote and motivate Filipino startups and further stir the pot of the emerging Philippine startup sector. 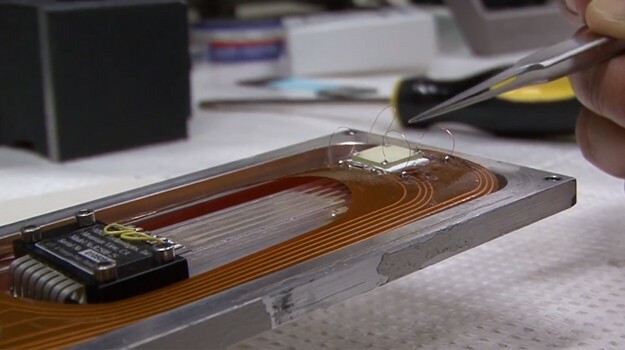 A form of re-writable crystal that can store data for more than a year was developed by researchers at the Washington State University. 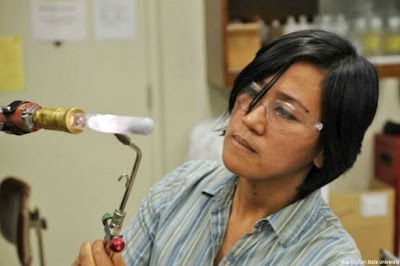 It was Dr. Marianne Tarun, who hails from Cabaga, Isabela that made the breakthrough. Dr. Tarun discovered that that electrical conductivity gets boosted 40,000% by exposing it to light. It was noticed by Dr. Tarun that conductivity of some strontium titanate increased considerably. It was thought at the start that it was because of contamination of the samples. Upon further research, it was discovered that it was exposure to light that resulted into the findings. This discovery enables data to be stored in crystals unlike in previous methods wherein heating crystals would only store data temporarily. This will have significant effects on enhanced performances of chips in computers and gadgets that utilize store data in its memory. Dr. Tarun was then a postdoctoral researcher at the Washington State University Department of Physics and Astronomy. Before that, Dr. Tarun taught at the Philippine Science High School from 1994 to 2006. Also, Dr. Tarun served as a Postdoctoral Fellow at the Physics and Astronomy Department of WSU and researched on electrical defects on semiconductors. Atty. Jocelle Batapa-Sigue championed the need for incubators and accelerators to also be built in the provinces outside of Metro Manila in order to support the growth of the startup ecosystem in the countryside. Leading advocates in the creation of startup ecosystems promote collaboration among technology business incubators, accelerators, and innovation centers in order to make the Philippines a leading location for digital innovation. In a series of panels highlighting the role of incubators and accelerators in growing mature startups and building a startup ecosystem, existing models were presented during the fifth "Geeks on A Beach" - the biggest annual international startup event organized in the Philippines by Techtalks.Ph. Among the featured models are the government funded incubators of the Department of Science and Technology (DOST), the UP Enterprise Incubator and the recently opened Dado Banatao incubator at the Asian Institute of Management managed by the Philippine Development Foundation (PhilDev), public-private incubators like QBO which is also supported by DOST and the Department of Trade and Industry (DTI), as well as private sector-funded accelerators like Launch Garage, Cebu Incubator in IT, and IdeaSpace. The third of three session featured Executive Director Samuel Guevarra Philippine Development Foundation (PhilDev), Ehon Chan of the ASEAN Centre of Entrepreneurship and MAGIC Malaysia, Katrina Chan of QBO, Craig Dixon of Muru-D Singapore, Jhaze Asuncion of DOST UP Center for Technopreneurship, Diane Eustaquio of IdeaSpace Foundation, and Jocelle Batapa-Sigue, past-chair of the National ICT Confederation of the Philippines (NICP). Batapa-Sigue championed the need for incubators and accelerators to also be built in the provinces outside of Metro Manila in order to support the growth of the startup ecosystem in the countryside. She stressed the importance of creating information and communications technology (ICT) councils especially in cities and provinces in the countryside to develop and implement innovation spaces such as incubators and accelerators, or even co-working spaces or shared service facilities where students and professionals can meet and exchange ideas. 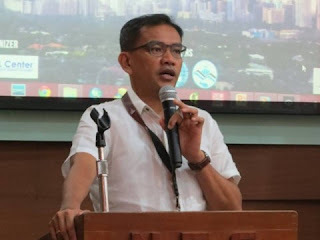 The first and second sessions featured Russell Pili, the Executive Director of The Philippine Council for Industry, Energy and Emerging Technology Research and Development (PCIEERD) of the DOST who announced that they are adding 20 incubators to the 14 existing ones in the next 24 months. The program also includes training for incubator managers, mentoring and seed funding for research to qualified startups. All the panelists believe the Philippines can become a top global startup innovation hub in five years time if there is a strong collaboration among all stakeholders, with a strong emphasis on celebrating startup stories and believing in the potential of the Filipino. 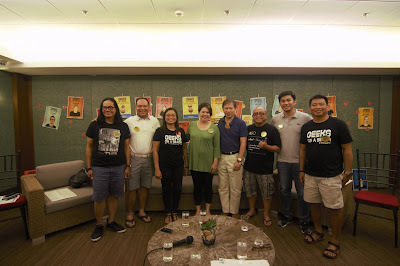 (From L-R) Token.io Founder and CEO Emeritus Yobie Benjamin, Plug and Play Technology Center Co-founder and VP Operations Jojo Flores, GOAB Founder/Lead Organizer Tina Amper, Ideaspace Executive Director Diane Eustaquio, Ideaspace President Rene "Butch" Meily, Smart DevNet Co-Founder and Senior Developer Evangelist Paul Pajo, Voyager Innovations Inc. Managing Director and Vice President Dindo Marzan, and PLDT ICT Research and Development Vice President and Head Joey Limjap. 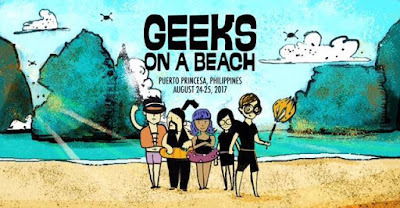 Some 400 participants from the government and the private sector, including successful technology entrepreneurs from Southeast Asia and Silicon Valley, has gathered in Puerto Princesa, Palawan as Geeks on a Beach 2017 starts today. For two days, participants will get to listen to valuable insights from big names in the startup and technology community. There will be keynotes, panels, and discussions with separate breakout tracks in between. Successful Filipino-Americans Yobie Benjamin and Aldo Carrascoso lead the list of the world’s prominent names in the field of startups and technology who arrived at the Princesa Garden Island Resort and Spa Hotel in Puerto Princesa, Palawan. The first day will open with keynote speeches by Puerto Princesa Mayor Lucilo Bayron, Department of Information and Communications Technology Undersecretary Monchito Ibrahim, Voyager Innovations Vice President and Managing Director Dindo Marzan, and Token.io and ClickSWITCH.com Chief Technology Officer Yobie Benjamin. This will be followed by the panel “How Founders Can Navigate Treacherous Seas; Path to potential Unicorns in the Philippines” where technopreneurs from Tokien.io, ClickSWITCH.com, GlycoProX Biosciences, Veem, Jukin Media & Verego, Plug and Play Technology Center, InnoVantage, Inc., StartUp Village, and MobKard will display the story of their success. Another panel entitled “Startup Ecosystem - How to increase # of successful startups in the Philippines” will highlight speakers from the DICT, Department of Science and Technology - PCIEERD, Department of Trade and Industry, TechTalks.ph, IdeaSpace Foundation, and the Philippine Software Industry Association (PSIA). An investor panel which will bring together tech, design and startup entrepreneurs to brush shoulders with the world’s biggest venture capitalists and investors in the tech world will meanwhile feature Greylock Ventures, North Ridge Partners, Plug and Play, Hatchd Digital, Endeavor Philippines, and Anthill Ventures. The panels for the day include “Corporate Digital Transformation: Becoming Victorious in a Collision between Businesses and Today's Challenging Digital Forces” featuring Dragonpay Corporation, BlastAsia & Xamun Inc., PLDT Innolab, Philippine Chamber of Commerce, Payoneer, and the Puerto Princesa Chamber of Commerce, “The way of Creatives: Establishing a Sustainable Niche in a Disruptive Economy” with creatives ¬ startups GrupoMM, CreateCebu, 22 Tango Records, and Altum, and “Role of Incubators and Accelerators in Growing Mature Startups” with the BNEFIT, NICP, IdeaSpace Foundation, Muru-D Singapore, UP Enterprise, QBO, ASEAN Centre of Entrepreneurship, and MaGIC Malaysia. There are also talks on “Boosting FilipinoTrailblazers in Gaming and Animation” by Synergy88 Digital Inc. 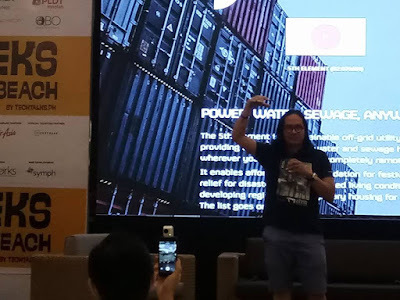 Managing Director and Co-Founder Jacqueline Chua, “Cultivating Creativity in the Circular Economy” by Altum Director Carlo Delantar, and “Chinese Tech Investment into ASEAN and How Startups in the Philippines Can Leverage On It” by EnterPH Interviews President Atty, Rocky Chan and Kay-Mok Ku of GobiVC.com. The media partners are e27, Tech in Asia, Bohol News Daily by Auza.net, InnoPub Media, Geeks in Cambodia, Asian Journal Publications, Balikbayan Magazine, Mobile Ecosystem Forum, ConnectedWomen.co, QueenCityCebu.com, GMA News Online, MyTV Channel Network, BeFast.TV, Wazzup Pilipinas, TechBlade PH, eMedia Production Network Inc., Inc. Southeast Asia, NU107.COM CO., SnippetMEdia, and Bloomberg TV Philippines. The organizational partners are the Philippine Software Industry Association, National ICT Confederation of the Philippines, UP CeBuinIT, Digital Commerce Association of the Philippines, Developers Connect, Science and Technology Advisory Council - Silicon Valley, Mynimo, Teradoor, Israel Chamber of Commerce Philippines, and the Cloud Security Alliance Philippines. GOAB is supported by Purple Cow, Orange Hub, iSkwelahan.com, DOST-MIMAROPA, Science and Technology Advisory Council Silicon Valley, and Science & Openvate Labs. 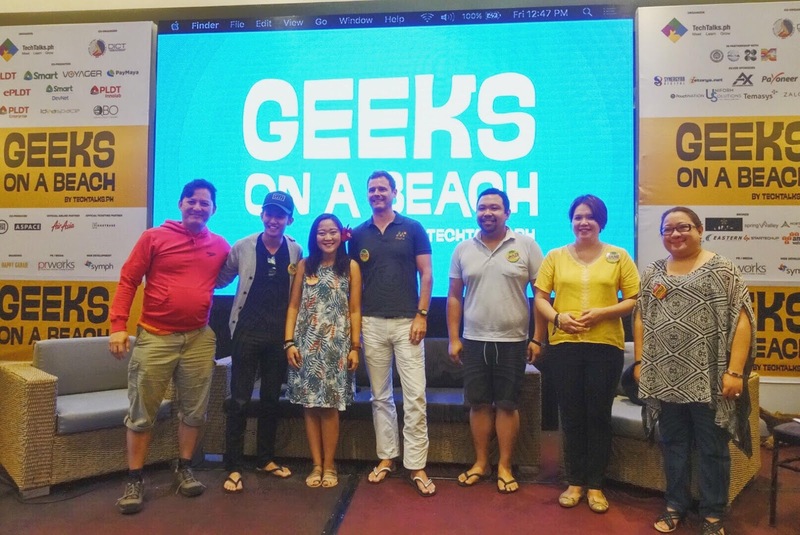 The Geeks on a Beach (GOAB) International Technology and Startups Conference commenced August 24, 2017, in Puerto Princesa, Palawan. This year’s edition is geared towards forming a synthesis between the best practices of the corporate sector and the startup sector in the Philippines. The inclusion of the corporate sector will significantly enhance the scope of the tech startup sector that is challenged to come up with technology based solutions that will aim to solve everyday problems and concerns in the country. The corporate sector will benefit from the development, implementation, and application of solutions crafted by these tech startups to enable them to be more efficient in the operations and increase their revenue bottom-lines that are the results of these tech startup solutions. Tina Amper, founder of TechTalks.ph gave the opening message of the annual confab followed by the welcome keynote address of Mayor Lucilo R. Bayron of Puerto Princesa City. The government was represented by Department of Information and Communications Technology (DICT) Undersecretary Monchito Ibrahim. The next Panel Discussions will tackle Decentralizing Applications: Intro to Ethereum and Blockchain Tech; Updates on Startup Innovation Bill to be presented by the Office of Senator Bam Aquino and a Workshop regarding Fundraising and Working it Out with Investors. The State of the Nation’s Startups will be the topic of Jojo Flores, Co-Founder and VP Operations of Plug and Play Technology Center. The GOAB 2017 conference will be until August 25, 2017, at the Princessa Garden Island, Puerto Princesa, Palawan. Techblade supports the Philippine Startup Sector will continue to bring updates about GOAB 2017. Philippine Micro-Small and Medium Enterprises (SMSE) provide the bulk of employment for Filipinos. These range from Furniture making to Food Processing. In fact, this has enabled the country to sustain its economy notwithstanding the many economic storms the country has weathered. The employment generated complements the OFW remittances and BPO earnings that make for a “consumption Driven” economy to thrive since the 1990s. The Department of Science and Technology (DOST) has been crucial in support of MSMEs since 2002. It has as one of its flagship programs the Small Enterprise Technology Upgrading Program (SETUP) as a primary means to reach out to Filipino entrepreneurs. Setup enables Filipino entrepreneurs to have access to technologies that will lead to increased production, more efficient operations and higher revenue generation for these MSMEs. Setup provides technical assistance, technology transfer and even machineries and equipment that can be obtained through interest-free loans via the Setup program. * The number of technology interventions as of 2016 is 50,370, consisting of consultancy services, training, packaging assistance, design, and labeling. Agricomponent and Machineries Construction Corporation (AMCC). The Isabela basedcompany has received the support of the DOST’s Cagayan Valley office through Setup. AMCC was able to acquire highly mechanized equipment from the assistance provided by the DOST worth Php2.16 million. This included the purchase of the Hyrdraulic Press Brake and technical training was provided that improved the services of AMCC. Also, AMCC has subcontracted other DOST assisted MSMEs. Betis Crafts, Inc. (BCI) has been engaged in furniture manufacturing since the 1980s. Initially located in Betis, Pampanga where there was then a thriving furniture manufacturing industry, BCI relocated to Tarlac because of the devastation caused by the Mt. Pinatubo eruption of 1991. BCI has been exporting their furniture worldwide. BCI experienced a 40% increase in production in 2016 after availing of the Setup program. From 11,236 furniture units produced in 2012, BCI has increased its production to 15,757 furniture units in 2016. Aside from increased revenues as a result of its sales and production, BCI was also able to raise its number of employees from 240 regular workers to 270. Bohol Bee Farm was one of the top 5 finalists in the Search for Best Setup Adoptor. This was attained after consultancy services and technical assistance was provided by Setup. Processing technology was upgraded that increased production and benefitted the workers also via skills upgrade. Setup provided technical assistance for food safety, good manufacturing practice, processing plant layout, training on basic food sanitation, hygiene and good operation practices, packaging, labeling and product development that increased the product shelf life of the products. 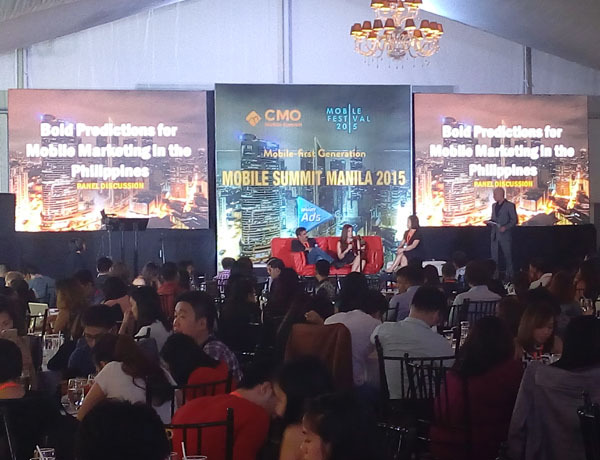 Setup has proven to be a Game Changer for Filipino SMSEs. Payoneer Philippines Country Manager Miguel Warren is part of the panel on “Corporate Digital Transformation” during the second day of the GOAB conference. The 2017 Geeks on a Beach International (GOAB) Startup Conference will again be supported by Payoneer. The international financial tech company has lent its support for this year’s GOAB conference for the 2nd year that will be held in Puerto Princesa, Palawan on August 24 – 25, 2017. Payoneer will be one of the conference’s silver sponsors. 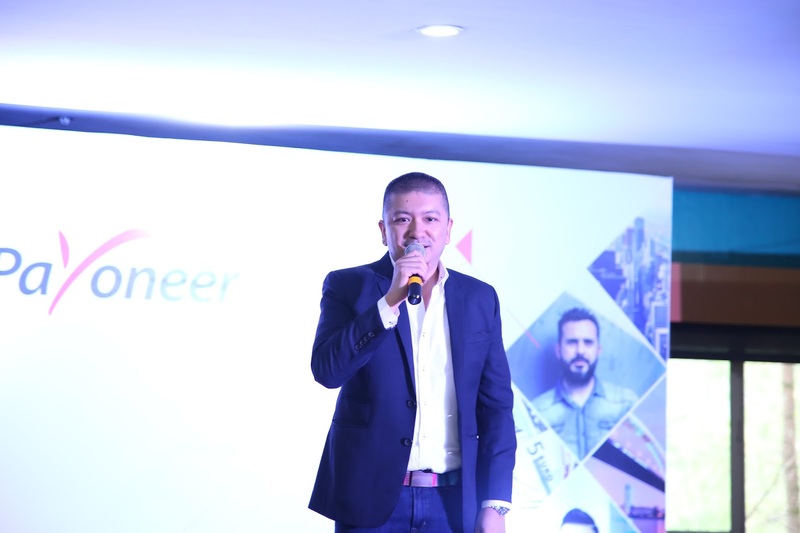 “We are in Geeks on a Beach to talk about the huge potential of e-commerce, freelancing, and outsourcing in the Philippines; and how Payoneer can help these fields with their online and cross-border payments,” Miguel Warren, the Country Manager of Payoneer Philippines said. GOAB will include not only the biggest names in design and tech startups, this year’s conference will also have the aggressive entry of the corporate sector that aims to bring synergy to the tech startup sector. “We really like to see the kind of folks gathered together in Palawan for the Geeks on a Beach – startups, techies, and corporates – to see how we can help them facilitate payments on an easy, convenient, and cost-efficient way,” said Warren. Also, the Payoneer Philippine Country Manager will join Robertson Chiang of Dragonpay Corporation, Arup Maity of BlastAsia & Xamun Inc., Joey Limjap of PLDT Innolab, Ramon Escueta of Philippine Chamber of Commerce, and Annabelle Ong of the Puerto Princesa Chamber of Commerce as one of the panelists in “Corporate Digital Transformation: Becoming Victorious in a Collision between Businesses and Today's Challenging Digital Forces” at the Day 2 of the GOAB Conference. This panel represents the corporate sector that aims to enhance their digital innovation by incorporating automated processes and tools, utilizing software to penetrate new markets and increase profits brought about by newly achieved efficiency. This will also help the corporate sector in harnessing social media and using digital marketing techniques together with establishing partnerships with experienced digital experts. PLDT, Smart, Voyager, PayMaya, ePLDT, Smart DevNet, PLDT Enterprise, and PLDT Innolab, Ideaspace and QBO are supporting GOAB as co-presenters while ASPACE Philippines is co-producer. GOAB is held in partnership with the City Government of Puerto Princesa, Palaweño ICT Association, and DOST-PCIEERD. GOAB is organized by TechTalks.ph, powered by Sym.ph, branding by Happy Garaje, and PR by PRWorks. For registration or partnership information or further details, visit www.GeeksOnABeach.com, follow on Twitter/Facebook Geeks On A Beach, or contact hello@GeeksOnABeach.com. 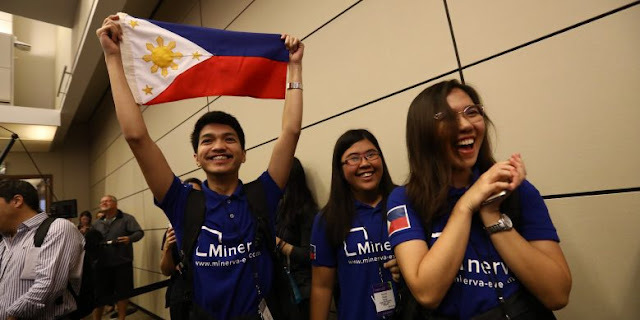 The Philippine Team composed of kept the audiences enthralled during the 15th Annual Imagine Cup at the Microsoft headquarters in Redmond, Washington. Team Opticode whose members are Christian Lou Cepe, Jasmine Pearl Raymundo, and Rochel Reyes from the Lyceum of the Philippines University-Laguna made waves with their mobile app, Minerva, a virtual assistant mobile application for the visually impaired that taps on the power of the smartphone camera to identify objects in the real world. Imagine Cup is considered as the “Olympics of Technology” that brings together students around the world to develop solutions with regards to the world’s toughest challenges. The competition comes with a prize of US$100,000 and mentorship sessions by Microsoft CEO Satya Nadella. Team Opticode came up with Minerva, a mobile app that helps the visually impaired to identify objects that they have difficulty in seeing. Using various cognitive services running on Microsoft Azure, Minerva identifies objects in the immediate environment of users. A user can simply point their smartphone cameras at an object, say a pizza, and Minerva describes it using the phone’s speakers. Team Opticode hurdled the national and regional competitions in order to qualify for the Imagine Cup Finals in the US. This is a testament to the country’s growing pool of creative and innovative talents, mostly coming from the youth that swims like fish in water when it comes to the use of technology and science. “At the forefront of innovation are young creative people who see the world and flip it on its head. Team Opticode is a prime example of how digital transformation can be used to improve lives. These young upstarts are pushing boundaries and turning their visions into reality,” said Launay. AirAsia Philippines: GOAB All the way to the Beach. AirAsia Philippines will be taking Geeks all the way to the Beach in this year’s Geeks on a Beach (GOAB) international tech and startup conference. The GOAB conference, now in its 4th year will be holding its conference in Puerto Princesa, Palawan this August 24 – 25, 2017. Pitching in with the effort to include corporate sector partners in making a synthesis with the technology startup sector, AirAsia will serve as the air transport partner of the annual event for the 3rd straight year. “For the third straight year, AirAsia is supporting GOAB as part of our efforts to support promising startups and grow the tech scene in the Philippines,” said Captain Dexter Comendador CEO of AirAsia Philippines. AirAsia, is the largest, leading low-cost carrier in Asia with its own tech innovations such as web, mobile app, e-boarding pass and kiosk services. The airline has recently introduced flights from Davao and Cebu to Palawan last April 2017. 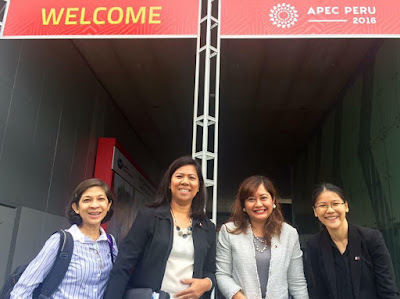 “By giving startups, creatives, and tech entrepreneurs a global stage for new learnings and opportunities for meeting potential partners, GOAB has more than made a difference and we are thrilled to partner with AirAsia, a truly Asean airline and a global brand,” said Tina Amper, TechTalks Founder, and GOAB Lead Organizer. This year’s GOAB international tech conference will feature the most creative, innovative and brightest minds in the startup industry and the corporate sector. Invited resource speakers include Yobie Benjamin of Token.io and ClickSWITCH.com, Chris McCann of Greylock Partners, Kay-Mok Ku of Gobi Ventures, Manny Ayala of Endeavor, Aldo Carrascoso of GylcoProX Biosciences, Prasad Vanga of Anthill Ventures, Robertson Chiang of Dragonpay Corporation Miguel Perez of Ayannah, Jason Torres of Ticketbase.com, and Chris Tran of North Ridge Partners. PLDT, Smart, Voyager, PayMaya, ePLDT, Smart DevNet, PLDT Enterprise, and PLDT Innolab, and Ideaspace are supporting GOAB as co-presenters while ASPACE Philippines is co-producer. GOAB is held in partnership with the City Government of Puerto Princesa, Palaweño ICT Association, and DOST-PCIEERD. GOAB is organized by TechTalks.ph, powered by Sym.ph, branding by Happy Garaje, and PR by PRWorks. For registration or partnership information or further details, visit www.GeeksOnABeach.com, follow on Twitter/Facebook Geeks On A Beach, or contact hello@GeeksOnABeach.com. The recent troubles by Uber with regards to regulation issues with the Land Transportation and Regulatory Board (LTFRB) have created an enormous gap in the transportation need of thousands in Metro Maila and Cebu where Uber has been operating. On the morning of August 15, LTFRB suspended Uber operations for 1 month due to non-compliance with its requirements. The detrimental effect on the riding public was immediate and the internet was filled with complaints from regular Uber users. But another viable alternative is being provided by technology. Taking advantage of the wide use of smartphones, a new smartphone application was launched and is hopefully granted approval by LTFRB. MiCab is a smartphone app that functions just like Uber and Grab that enables the user to hail a taxicab using smartphones. MiCab has been operating in Cebu and Iloilo for two years and now Metro Manila will be the next phase of its expansion of operations. The app was brought about by necessity according to Eddie Ybanez, its founder. He said difficulties of hailing conventional taxicabs in Cebu are worse than in Manila and that is why MiCab was developed to serve those who would rather take alternative transport. MiCab’s operations were successful in Cebu where they have 600 accredited taxis and 200 in Iloilo. 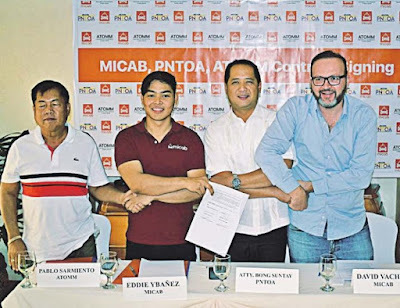 Having signed a formal agreement with the Association of Taxi Operators in Metro Manila (ATOMM) and the Philippine National Taxi Operators Association (PNTOA), two of the largest taxi associations in the country, MiCab is confident that they can also expand successfully in Metro Manila. The features of MiCab are superior to the systems being used by both Uber and Grab. It has its own call and chat interface that gives users and the drivers real-time communications that enable the user/customer to know exactly where the taxi is located in the course of waiting for the pickup. Also, it has a built-in ticketing system, an electronic wallet for payment and has reward points for the drivers as incentives. Unique with MiCab is that it uses existing taxicab units that enhance their abilities but does not require new cars to be deployed on the road thus, easing traffic congestion. An upcoming feature is a button wherein the customer can push with regards to dangers and threats. There is also no “surge pricing” unlike in both Uber and Grab. It has a Php50.00 booking fee that goes to the driver and taxi operator so that everyone benefits for its use. MiCab is also into advertising that uses both traditional and digital media. Another future feature will have it tie up with a healthcare organization and even a logistics and delivery service. The transport industry will thus have greatly enhanced its delivery of services not only in human transport but also of packages and cargo. Parking Problems? Dibz to the Rescue! It is a given that traffic is a big problem in urban centers in the country. Another one is parking. How many meetings have been canceled or postponed because of difficulties in finding parking space at the venue of the meeting? How many man hours lost and business opportunities missed and not to mention the frustration that brings emotional stress with it. Dibz is an app that will form part of the solution and is now the only available solution to the parking problem many encounters daily. A startup conceptualized last February 2016 by Dibz Founders Donald Saurombe and Livias Shoko aimed to solve these problems came into being. 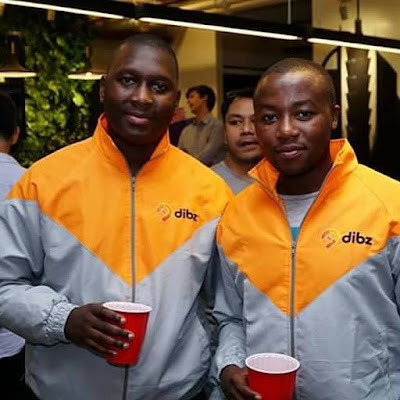 Dibz will make parking and find parking space available to all those who need it. It functions as a form of “booking application” that can be downloaded to any smartphone or tablet and has Android and IOS versions. Dibz is activated and the user indicates the destination. Dibz will automatically find a parking slot for the user. Upon reaching the destination an attendant will be available to point out where the available parking slot is upon scanning the barcode sent by Dibz on the smartphone of the customer/user. 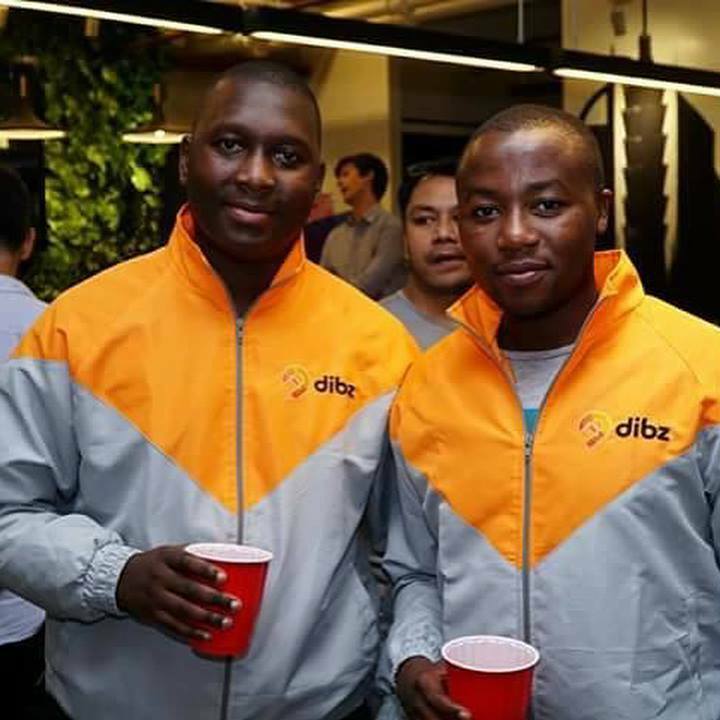 When the customer/user is about to leave the premises, Dibz is again activated and the attendant will bring the car to the customer/user. The customer/user pays for the service by loading credits into their Dibz account and each utilization debits an amount in the Dibz system. Dibz can be loaded using credit cards, Paypal, Dragonpay, Pay Maya and G-Cash. Dibz charges at an hourly basis. Dibz started development last April 2016 and by November 2016, it was ready for use by customers/users. The initial coverage area for Dibz was Makati and the Ortigas Business District. Bonifacio Global City has recently been added to the Dibz service are coverage and Pasay City and Quezon City will soon be covered by its service. 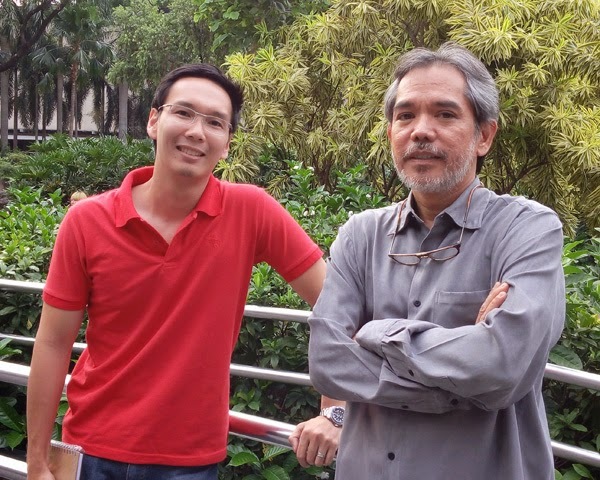 The Founders of Dibz realized necessity was truly the mother of invention and sought out a solution to the problem having spent many years in the Philippines. There are also similar applications now being used in the US, UK, France and other areas in Europe. This is the first in the Philippines. It is the time that tech startups hook up with the mainline corporate community and no better place than on the beach. 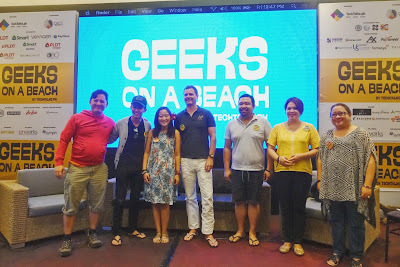 The 5th Geeks on a Beach (GOAB) is reaching out to the corporate sector to participate in the annual conference of international and local tech startups. This is to bring synergy the startup sector to another level by infusing it with the best practices and wealth of experience. The synthesis would spur further innovation in the startup sector. “Our bigger goal is to bring the right minds together to connect and initiate value-centric conversations,” said Robert Cristobal, TechTalks.ph Chief Content Officer and Singapore-based Frame316.com Founder. GOAB recognizes inclusivity in its endeavors and the corporate sector is seen as a much-needed addition to the community composed of geek powered startups that have shown innovation outside the box of conventional thinking and processes. In GOAB conferences, the challenge for tech startups is to create and innovate products and services that will be solutions or part of solutions that will be useful in the everyday business, social, economic and educational obstacles that institutions face. The corporate sector will also benefit significantly in the innovation aspect presented by startups. This will greatly enhance their ability to increase their bottom line potentials. Also, with Palawan serving as the venue for this year’s GOAB conference, environmental issues will also be on the forefront of creating solutions that will address these concerns. The opportunities presented by the event will be a first in the local startup community and will serve as a template for tech startups and corporate sector cooperation and coordination in the future. GOAB is expected to draw an estimated 500 participants along with some of the biggest names in the tech, design, and startup industry sectors from across the world in Puerto Princesa, Palawan, the Philippines on August 24-25, 2017. The Philippine Chamber of Commerce and Industry (PCCI ), which has expressed interest in investing in startups will also have one of its directors, Engr. 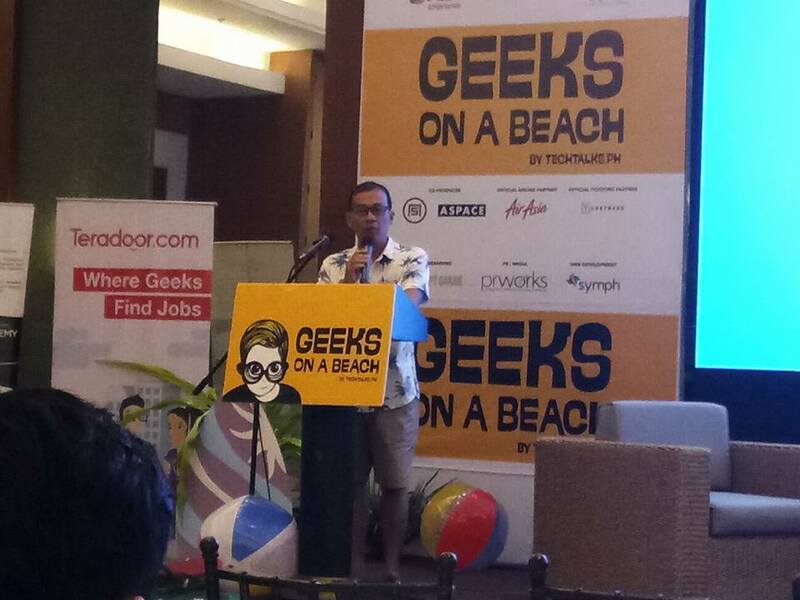 Ramon D. Escueta, grace Geeks on a Beach in Palawan as a keynote speaker. Engr. Escueta is the President of Asia-Pacific Business and Industrial System and Founder/ President of APSYS Solutions Technology, Inc.
PLDT, Smart, Voyager, PayMaya, ePLDT, Smart DevNet, PLDT Enterprise, and PLDT Innolab, and Ideaspace are supporting GOAB as co-presenters while ASPACE Philippines is co-producer. GOAB is held in partnership with the City Government of Puerto Princesa, Palaweño ICT Association, and DOST-PCIEERD. The official airline partner is Philippines Airasia and the official ticketing partner is Ticketbase. The silver sponsors include Payoneer, Zalora, PouchNATION, Istorya.net, Synergy 88 Digital, Uniform Solutions, Temasys, and AtoX Solutions. The bronze sponsors are NXTLVL Academy, LabPH, Spring Valley Corporation, North Ridge Partners, Amazon Web Services, Eastern Communications, Startechup, and Gobi Partners. The media partners are e27, Tech in Asia, Bohol News Daily by Auza.net, InnoPub Media, Geeks in Cambodia, Asian Journal Publications, Balikbayan Magazine, Mobile Ecosystem Forum, ConnectedWomen.co, QueenCityCebu.com, GMA News Online, and MyTV Channel Network. The organizational partners are the Philippine Software Industry Association, National ICT Confederation of the Philippines, UP CeBuinIT, Digital Commerce Association of the Philippines, Developers Connect, Science and Technology Advisory Council - Silicon Valley, Mynimo, Teradoor, Israel Chamber of Commerce Philippines, and the Cloud Security Alliance Philippines. GOAB is supported by Purple Cow, Orange Hub, and iSkwelahan.com. The delegates of the Association of South East Asian Nations (ASEAN) each received a copy of The Finishers by Ezra Ferraz last weekend. This was disclosed by Department of Information and Communications (DICT) Undersecretary Monchito Ibrahim at the book launch of The Finishers last August 9, 2017, at Fully Booked, Bonifacio Global City. DICT Secretary Rodolfo Salalima managed to get a copy of the book and upon its soft launch last August 1, 2017, at the DICT head office and reading it decided that it would be a good opportunity to show to the world the quality of the tech startup sector in the country. The Finishers was the result of Ezra Ferraz’s exposure to a startup exhibition he attended last 2016. 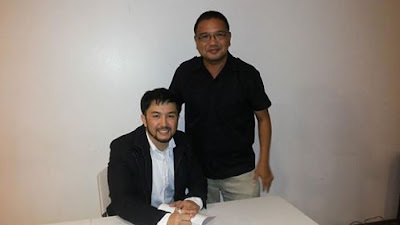 Ezra then proceeded to write a book about Filipino Technopreneurs who have managed to “exit” from being startups. 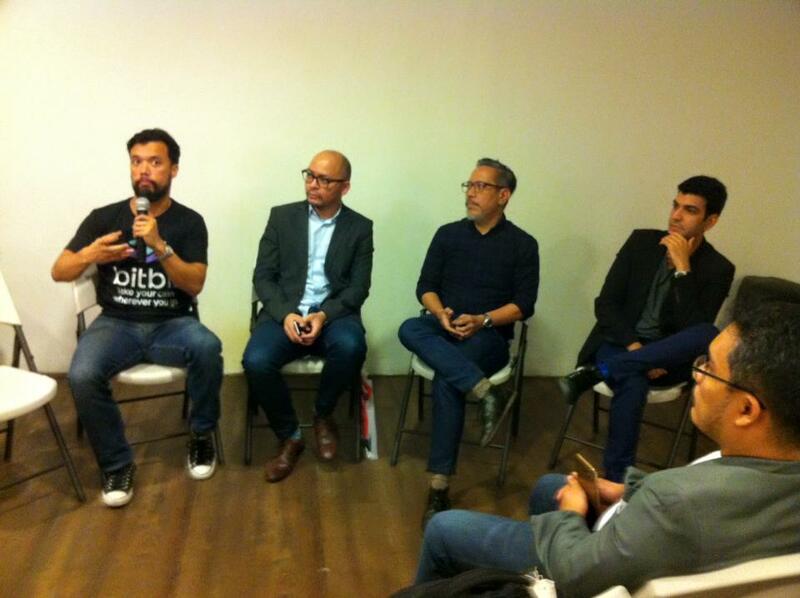 This will depict a “Filipino-centric” perspective o what makes a successful startup in the Philippine context. “If our founders want to build a tech company in the Philippines, there is only so much we can get from the heroes of Silicon Valley. What would serve us best is our own success stories. 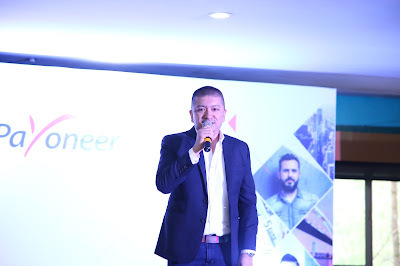 By celebrating our entrepreneurs who have already succeeded here at home, we can learn what it takes to survive and indeed thrive in this unique business landscape,” Ezra Ferraz said. 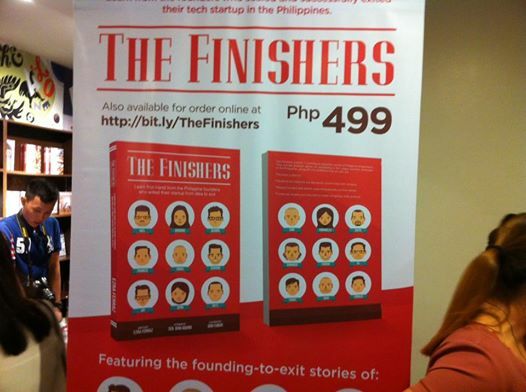 The Finishers tell the story of 11 “exits” from startup status that represented a diverse set of tech enterprises. “All these founders hail from different industries. They have different functional expertises. Some are Filipino born and raised. Others are balikbayan. Still, others are immigrants. Yet they all found common ground in the shared belief that you can build a world-class tech company right here in the Philippines,” Ferraz added. The book launch featured the “Finishers,” and they related their experiences to the attendees of the event. It was also noted that there must be more efforts in including more women in the tech startup sector as espoused by several attendees although 2 of The Finishers were women. The effort of the DICT to present the book to the ASEAN delegates is aimed at promoting the Philippines as a hub of technology not only in the region but also globally. Ezra Ferraz is currently working on another book that will present The Finishers in a more globally oriented perspective.